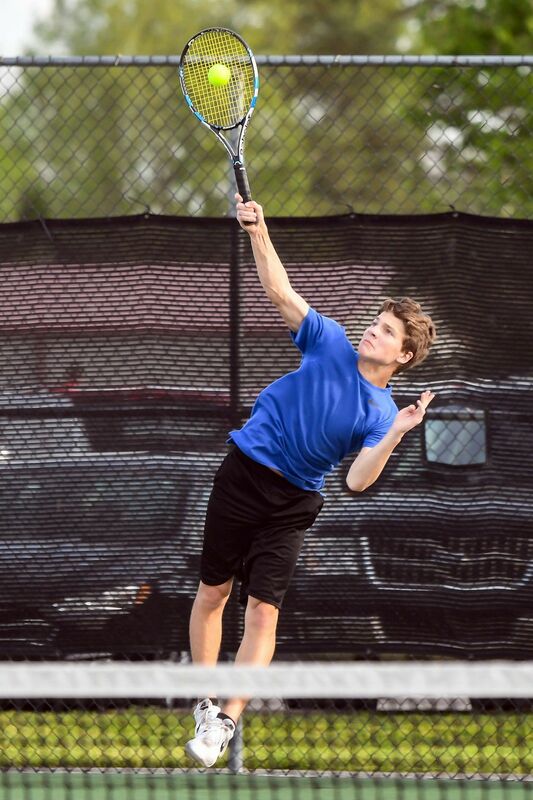 Lincoln County High School’s Falcon tennis team picked up three district wins last week. Thursday, LCHS got some pay-back, winning at home over Tullahoma, 5-2. In their first meeting of the season, the Wildcats gave the Falcons their first district loss since 2016. Wednesday, Lincoln County won on the road over Shelbyville, 6-1, after defeating Lawrence County at home on Tuesday, 6-1. Currently, the Falcons’ record is 8-1. Individuals: Evan Pollard, 9-8; Caden Teesateskie, 6-8; Jake Hall, 8-9; Sam Robinson, 8-6; Trey Galyen, 8-1. Doubles: Pollard/Teesateskie, 8-6; Hall/Robinson, 8-6. Individuals: Evan Pollard, 8-3; Jake Hall, 8-2; Caden Teesateskie, 8-1; Sam Robinson, 8-4; Trey Galyen, 8-0. Doubles: Pollard/Teesateskie, 8-6; Hall/Robinson, 6-8. Individuals: Evan Pollard, 8-3; Caden Teesateskie, 8-3; Jake Hall, 8-1; Sam Robinson, 8-2; Trey Galyen, 8-3. Doubles: Lake Porter/Jesse Whitehead, 4-8; Curtis Felver/Tripp Foster, 9-7. This Week: The Falcons travel to Coffee County on Monday, then Marshall County on Tuesday. The unfinished match with Marshall County, due to a rain out, will be completed, as well; the Falcons were trailing, 2-3. Match times are at 4 p.m.